No matter what your field of endeavor or line of business you have made mistakes. Almost everyone in marketing has sent out a sales letter that has received little or no response and there is no one on the planet, not even Warren Buffet, who picks all the right stocks all of the time. The difference between a successful marketer or investment managers like Mr. Buffet and many of us mere mortals is that they learn from their mistakes. They treat a mistake as an opportunity to learn, and begin again. They also don’t let fear of failure deter them from ultimately being successful. That fear of failure is what holds the rest of back. It paralyses us in a state of dread and inaction that will surely lead us to fail again. Even worse is that this fear can keep us stuck in this place, too afraid to even try again. As millions of scientists, inventors, and successful people have found out, failure is actually a prerequisite to success. The more mistakes you make, the more you can learn. If that sounds dumb, then think about Thomas Edison. He undertook thousands of experiments that didn’t work out, but he learned from every one of them until, fortunately for us, he got it right. You too can learn from your mistakes and here’s how to do it. Define the mistake. Take the time to go through all of the steps in the process. What worked and more importantly, what didn’t? The things that worked become part of the solution, the things that didn’t become part of the past. Take Ownership. 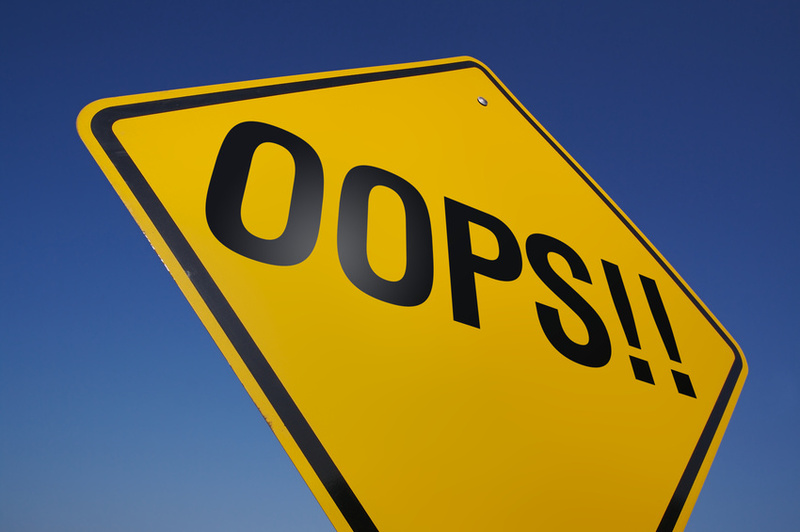 Know what part you played in the mistake and admit and acknowledge that to yourself, your team, and your superiors. It’s not just the right thing to do, it stops the blame game right in its tracks so that everyone can move more quickly towards a solution. What caused the mistake? Was it a human error or a technological breakdown? Walk through the process step by step until you can pinpoint the cause of its demise. What could fix this mistake in the future? Now you’re ready to start thinking about trying again. You know the cause and can work on fixing it. What will you do differently the next time in order to get a positive result? It’s okay to make mistakes. Repeat that a few times until you get comfortable with it. But it’s never okay to make the same mistake again. Learn from your mistakes and you’ll never have to go through the pain of that mistake again. Excerpted from Change the Things You Can: Dealing With Difficult People by Mike Martin.